Happy Friday Wyrdos! 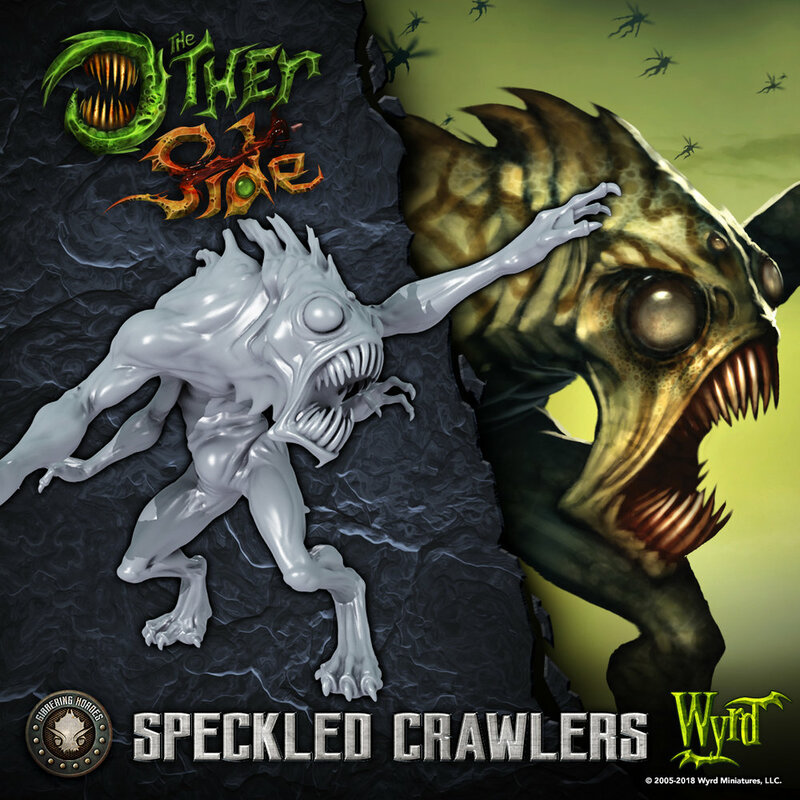 Today we have a preview of the Speckled Crawlers. While they may not be the most vicious of the Gibbering Horde, they are sure to give your opponent a headache trying to get rid of them! Speckled Crawlers, like their Barbed cousins, occupy the lowest level of the Hordes’ food pyramid. They are the most plentiful species, partially because of their incredible ability to adapt to their environment. Upon arriving on Earth, the Crawlers took to the land, tunnels, buildings, forests, and every other environment they came across. They lurk in many dark and unseen places, waiting for prey to come into reach of their clawed hands. While Speckled Crawlers are not strong by themselves, they more than make up for this with strength of numbers. On the table, Speckled Crawlers occupy two five monster Fireteams. This makes them quite a tar pit, and their resilience is further bolstered once they flip to Glory and begin gaining automatic Reinforcement Tokens. Their basic melee attack is somewhat weak, but it becomes stronger if the Crawlers can get into contact with terrain (such as a conveniently placed Tide Pool). Head over to the forums to discuss this unit!